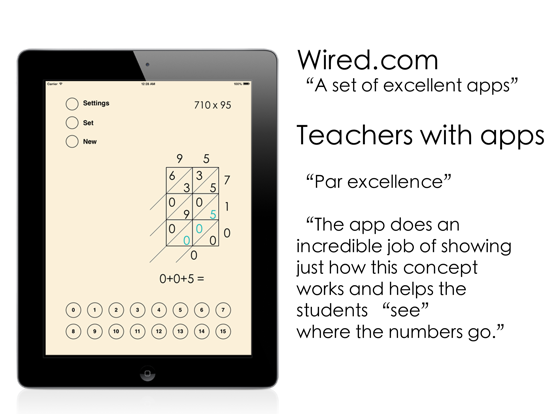 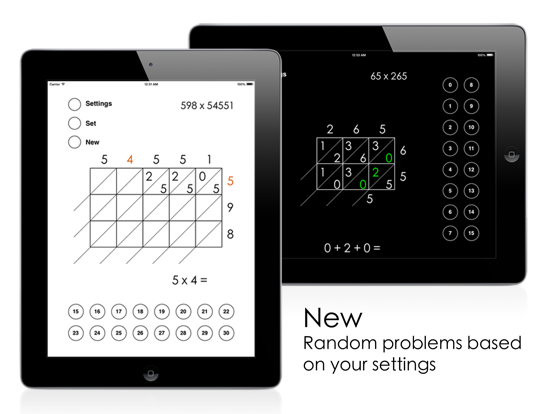 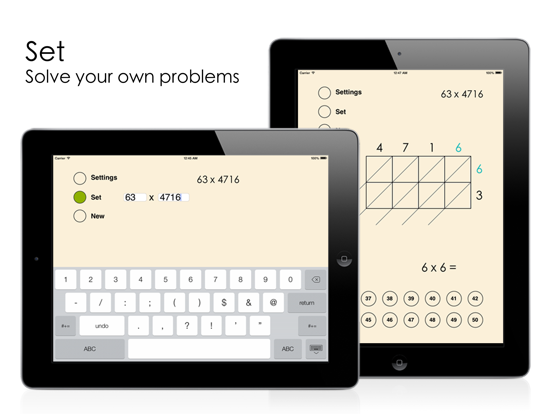 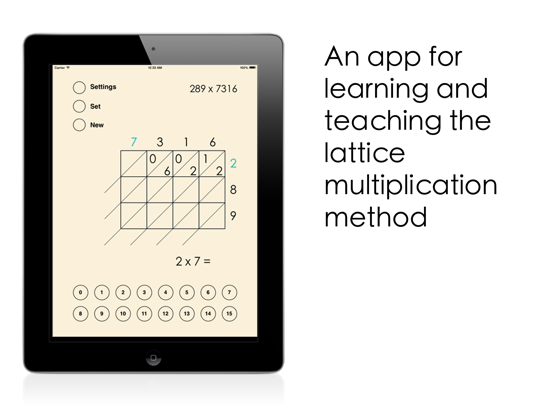 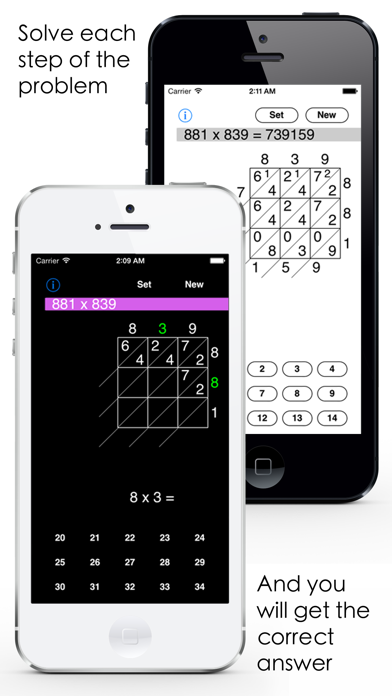 This app can be used to teach and study the ancient lattice multiplication method. 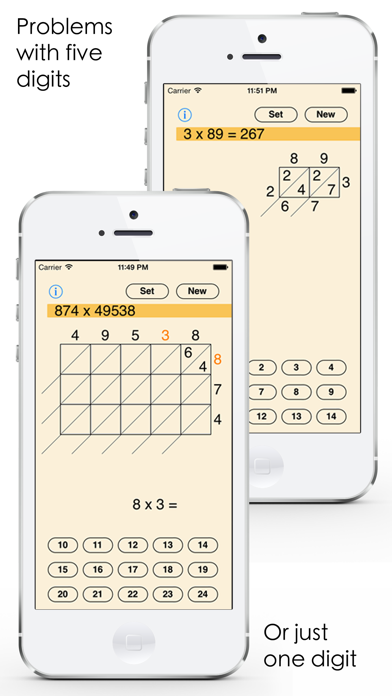 Solving lattice multiplication problems is also excellent times tables practice. 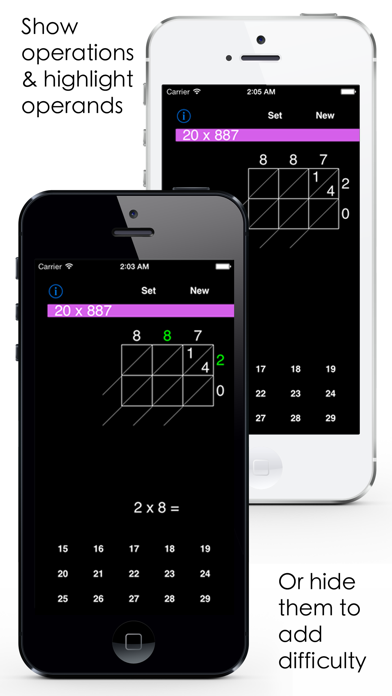 The app is very easy to use and it has an intuitive interface with customizable colors and other settings. 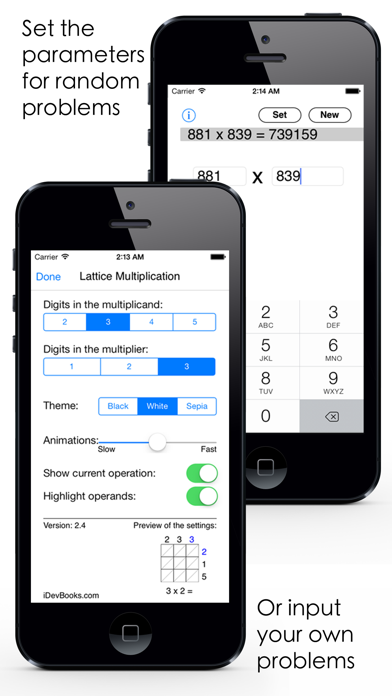 The user can solve custom and random multiplication problems with small and large numbers. 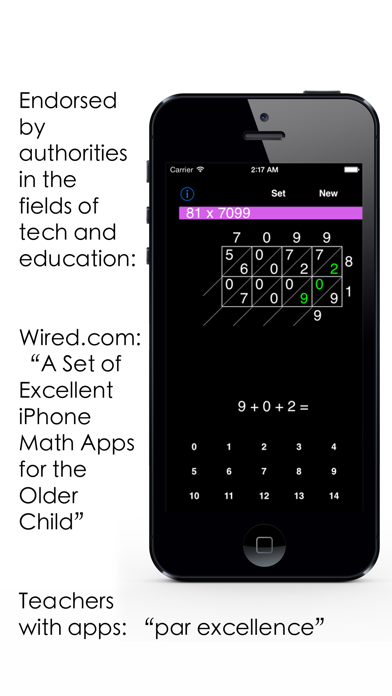 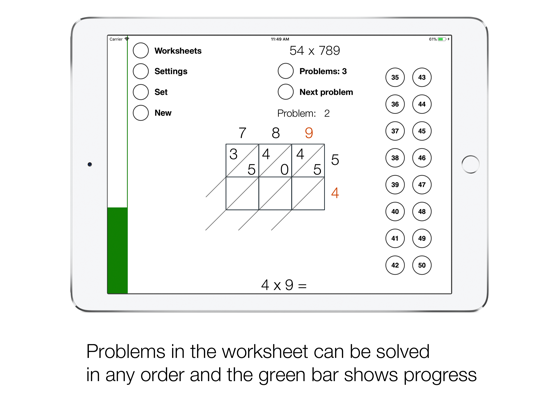 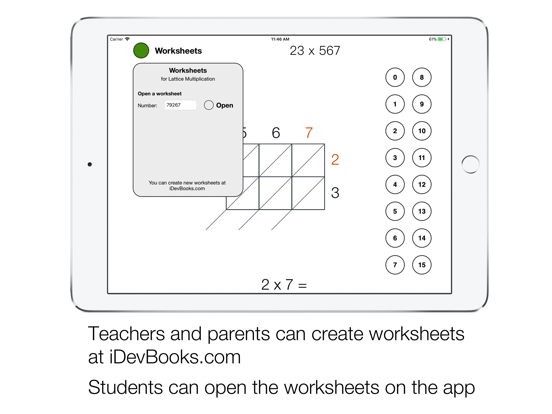 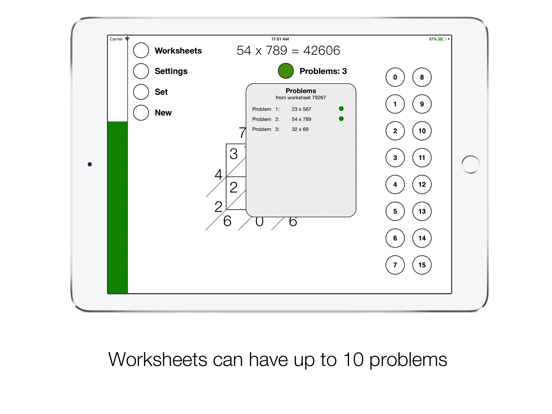 "This was one form of multiplication that I’d never done before, but the app taught me very clearly. 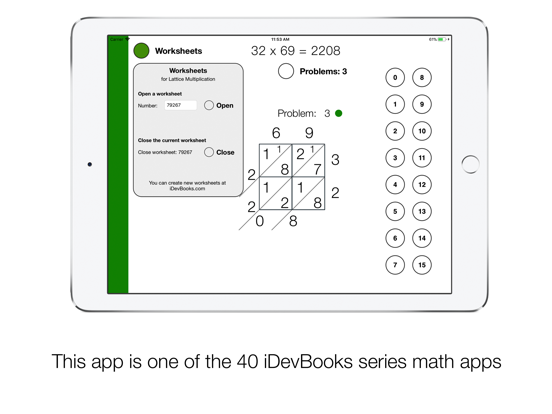 It makes multiplying large numbers easier, and allows you to see it all visually"
Some of the other 24 iDevBooks math apps are Column Addition, Long Multiplication, Long Division, Column Subtraction, Visual Multiplication Table, Partial Differences Subtraction, Partial Quotients Division, Partial Sums Addition, Decimal Rounding, etc.